NEW YORK (WABC) -- He was a magnificent presence in New York, living in the city for 22 years. Wednesday night, the mayor declared it "David Bowie Day", 10 days after his death in the city that became his adopted home. 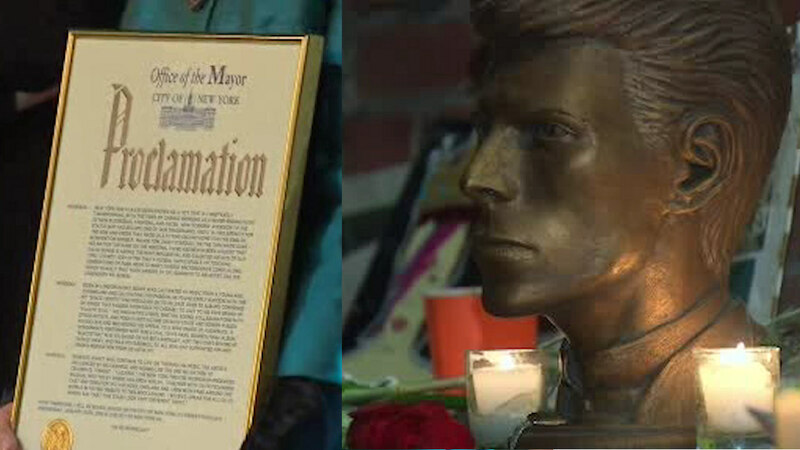 The proclamation was read Wednesday night at the curtain call of the final performance of "Lazarus", the off-Broadway production Bowie conceived and co-created. Mayor Bill de Blasio tweeted that he believes he speaks for all of us when he says, "The stars look very different today #DavidBowieDay". Bowie was 69 when he died last week from liver cancer.